Regardless of whether you see yourself as an eco-enthusiast or are just looking to make ends meet, finding a job in the green energy sector has never been easier. The sector is quickly growing, with an estimated 80,000 new jobs added in 2013. Not only will you find a large number of green construction and manufacturing jobs, the industry needs skilled engineers, designers, teachers and more. No matter what career field you’re interested in, you’re likely to find something in the green energy industry. Take a look at three of the latest initiatives meant to drive green employment. California has long been a leader in the green jobs sector. The state has more clean energy jobs than any other state, a reported 360,245 out of 3.1 million green jobs in the United States, according to the Bureau of Labor Statistics most recent report in 2011. 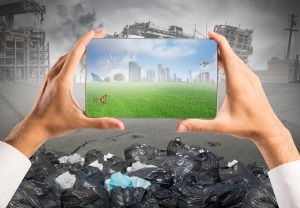 With a push toward hydrogen fuel cell vehicles, large quantities of renewable energy and some of the technology industry’s energy masterminds (think Elon Musk), it should come as no surprise that California is now working to ramp up its recycling efforts. By 2020, the state of California hopes to reach a 75 percent recycling rate. But the initiative is doing much more than diverting tons of trash from area landfills; the goal is likely to drive significant job growth too. According to a National Resources Defense Council (NRDC) study, California’s recycling initiative could create as many as 110,000 jobs in manufacturing, recycling and composting. Beyond that, the organization believes the higher recycling rate could create 38,600 indirect jobs for those who provide equipment and services to those in the recycling industry. Although you can find a green career in almost any field, green jobs are most commonly associated with renewable energy generation, such as solar or wind energy. If you live in Texas (or want to move there) you shouldn’t have much difficulty landing a green job. From wind turbine technicians to public relations professionals, green opportunities abound in Texas. Part of this green employment boom is thanks to the state’s dedication to renewable energy generation. Texas has more wind energy than any other state, with more than 12,000 megawatts of clean power, according to the American Wind Energy Association. And to keep that wind energy humming along there are more than 10,000 people working in the field. At the end of 2013, Texas finished building 3,600 miles of new transmission lines capable of transporting renewable energy to consumers. This $7 billion project has increased the state’s capacity to 18,500 MW and allowed the Electric Reliability Council of Texas (ERCOT) to acquire interconnection agreements for 9,000 MW of new wind power, which will, in turn, create even more jobs. Believe it or not, Hawaii ranked third for green job growth in 2013. Most of those jobs—about 5,400—were created to improve building efficiency on the islands. While this is an important initiative all over the world, it’s especially important in Hawaii, where residents endure the highest energy bills. According to the U.S. Energy Information Administration, Hawaii’s average electric bill was $203.15 in 2012, significantly higher than any other state. The largest project, announced last June, is being initiated by the state of Hawaii. In addition to creating 5,000 jobs, the initiative will help the state government reduce the cost of operating airports, prisons, universities and wastewater treatment plants thanks to the installation of more efficient appliances, lighting and air conditioning units. The state also announced more than 500 new jobs in solar and wind energy. If you’ve been looking for an excuse to move to paradise, green energy could be your ticket. Clint Robertson is an energy writer and green building consultant based in Charleston, SC.